What Benefits can Modern Architecture give to Housing Schemes in Pakistan? Competition in the real-estate market of Pakistan has surged due to ever-increasing housing schemes in almost every city. Bahria Town, Defense Housing Authority (DHA), Royal Residencia, Askari Housing Scheme and Fazaia Housing Scheme, are some of the top housing societies in the country which are competing not only on the basis of their locations but also the construction and interior designing of the buildings. To beat the competition, every housing authority is relying on the modern architectural trends and features, as these bring uniqueness, comfort and flair in the living style of the dwellers. Given below is the detail on how the modern architecture can benefit the housing schemes in Pakistan. The latest trends promote modern life style, which is based on international living standard. The houses constructed in the housing schemes are built in a way that these serve to be role models for the superb design and top class interior. Usually, in the housing schemes, homes are built on the same patterns. The layouts of these homes are prepared by professional architects in Pakistan, who make a design while keeping the total area, modern living standards, comfort and various similar factors in view. What’s the most appealing thing about modern architect? The latest architecture standards allow you to utilize a space in the best possible ways. The biggest benefit the modern construction standards bring to housing societies is the smart utilization of space. For instance, on the lands with larger square feet, architects try to incorporate maximum functional as well as luxurious zones; whereas in the smaller land blocks, where space is the biggest concern, smart construction techniques work best. 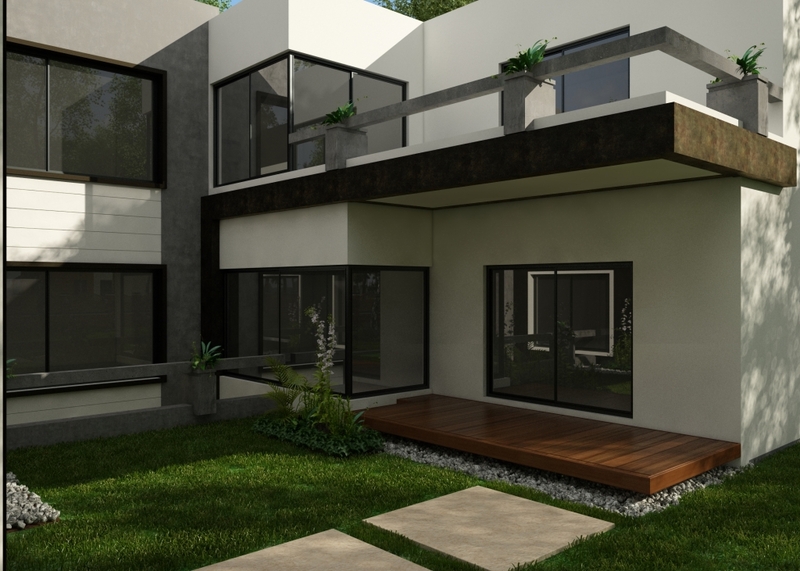 For instance, recently Amer Adnan Associates ® a renowned architectural firm in Pakistan has prepared a design layout and interior of a 1-Kanal house in Izmir Town. To utilize the space in a smart way, the experienced architects and interior designers of the firm have prepared a rooftop sitting area. The unique ambience of this area, helps enjoying an open air dinner, get-togethers and parties. The idea is especially useful for the houses with small spaces. Model houses are those which show a style-statement not only from their design layouts but also from their interior designing and furnishing. The interior of these homes is based on modern themes, which promote sleekness, decency and uniqueness. To promote an overall compatibility, there is maintained a special harmony in the indoors by the utilization of custom-based furniture. To promote a healthier living, the housing schemes promote green building. Green building requires you to construct healthier, energy-efficient and environment-friendly homes. The energy-efficient homes will not only keep the dwellers safe from the acute outside climatic conditions but will also cut down the energy utilization to reduce the utility bills. Why do housing schemes compete for providing high standard living? Their ultimate purpose is to get a particular locality more populated as it is ultimately going to add to the revenues of the owners. Here it would be no wrong to say that the housing societies with top living standards are likely to be populated more as compared to those which still use the traditional methods of construction and interior designing.